Ombre is one of those hair trends that seems to be evolving so much over time. At first, all brunettes were dying the tips of their hair blonde, but that is so far from where ombre is now. 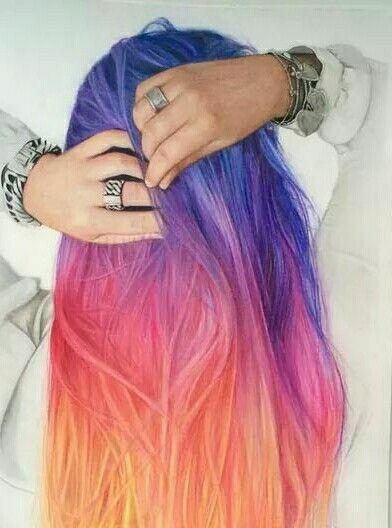 With Ombre still so hot, Pretty Designs is here to give you some options on making your hair ombre and showing you some unique options. Here are 11 Different Ombre Hair Trends to Try Out. Maybe you’re not completely sold on the ombre trend. 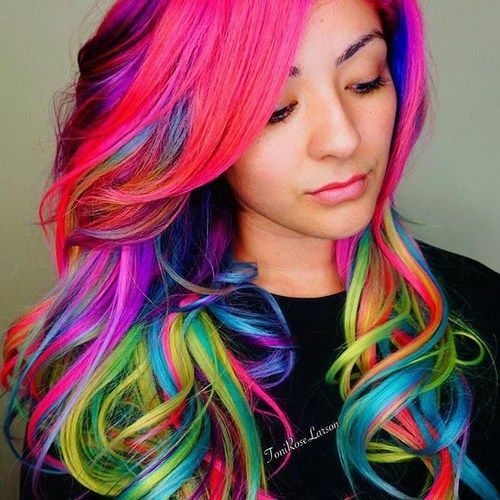 This ombre would be perfect for you then. The ombre is relatively subtle, compared to most of them. 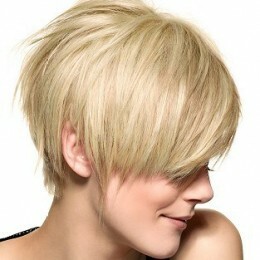 While it looks great on short hair, it would look great on long hair too and could be even more subtle. This pink color could work well on all different hair colors so no need to fret if you don’t have blonde hair. Maybe you’re thinking “Screw subtle!”, then this ombre is for you. The top of your hair would start with a lavender purple color before gradually getting lighter with various shades of pink. This hairstyle isn’t very subtle, but it is very feminine with the pastel colors and is a variation of the normal just pink ombre. 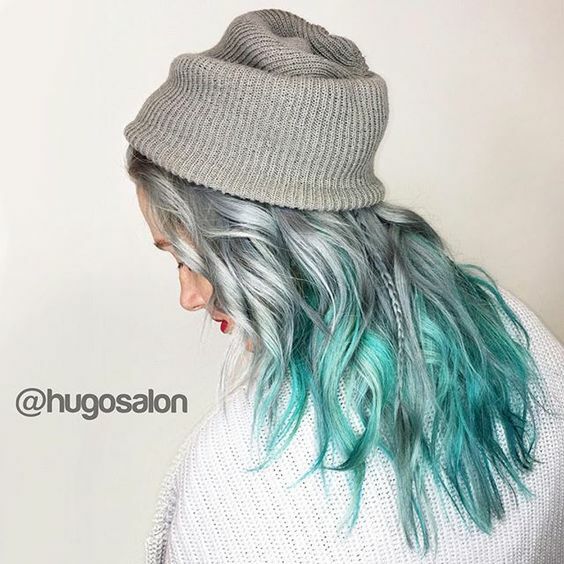 Blue ombre makes its first appearance on this list. 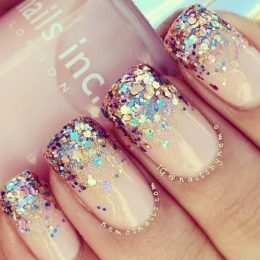 This ombre is completely different than the first two because it actually incorporates the color in different varying shades all over. This hairstyle starts with light blue on the top before it gradually gets darker on the bottom, turning from a sky blue to a medium blue. 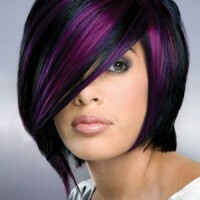 This one is not for the casual ombre user or someone who is second guessing their decision. 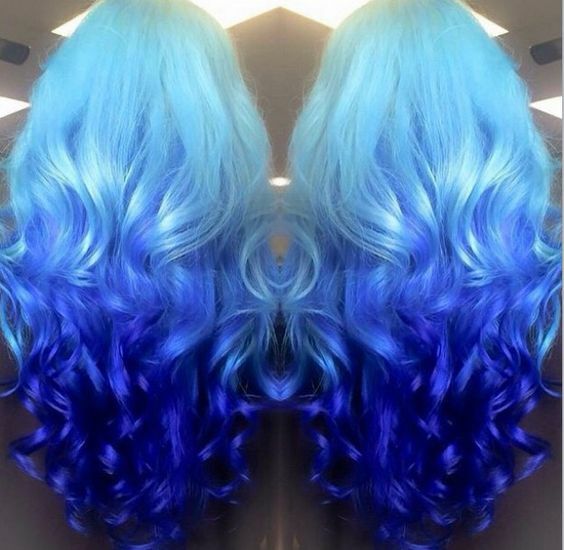 Unlike the first two, this hair color is one for someone who truly loves the color blue. This is another slightly subtle option but at the same time, it’s not. 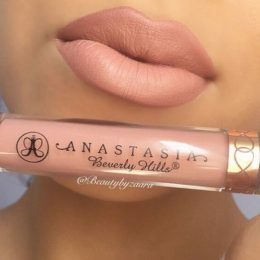 The colors in this ombre are definitely muted, but there’s still a lot going on. 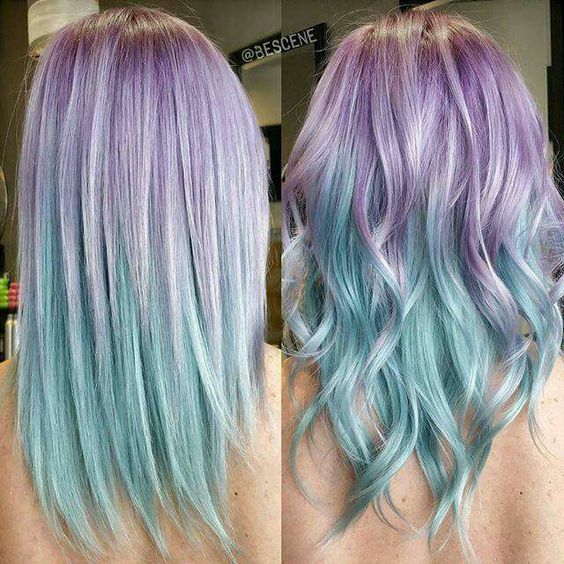 The light purple on top gradually changes to a light blue, giving the whole look a pastel vibe. 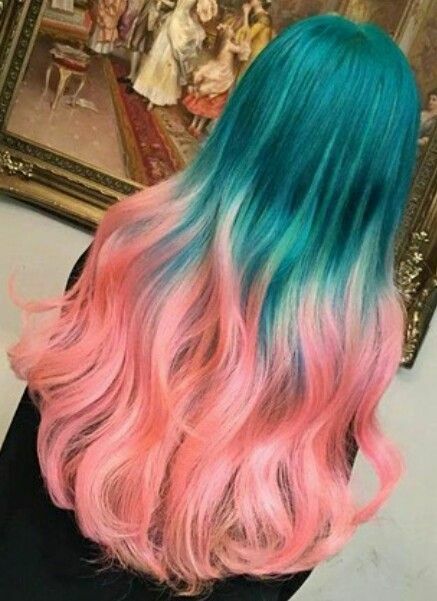 This ombre could be classified as a “mermaid look” and would be awesome to rock in summer especially if you’re spending time at the beach. This ombre is for my dark-haired ladies. 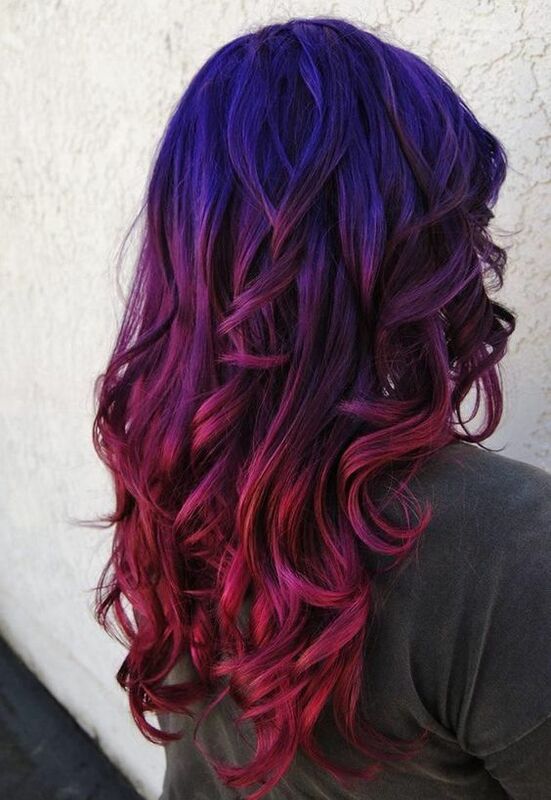 The blue at the top could blend into black or brunette hair but the addition of the dark purple and dark pink at the bottom give it something extra. This hairstyle would be well-suited for fall or winter and would give some much-needed color in a season where color usually lacks. 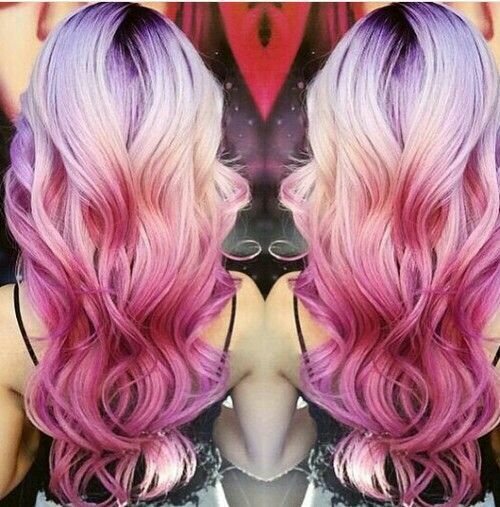 This ombre is for cotton candy lovers…well almost. The top of the hair is a blue-green mix which eventually turns into a light pink at the bottom. This ombre would be perfect for spring time as everything is going from dark to light, but would still be perfect for the transition from the end of winter to the beginning of spring. This sunset ombre just screams summer. Even with the multitude of colors, it’s still not a very “out there” ombre. All of the colors are light including the blue at the bottom before it changes to purple and then pink, orange and finally yellow. While it looks complicated, this is actually a simple ombre and one that would look great during any time of year but particularly summer. This ombre pairs two unlikely colors but it works. This is one of the brighter Ombres on the list, so proceed with caution if you’re not too sure about ombre or just skip this one. 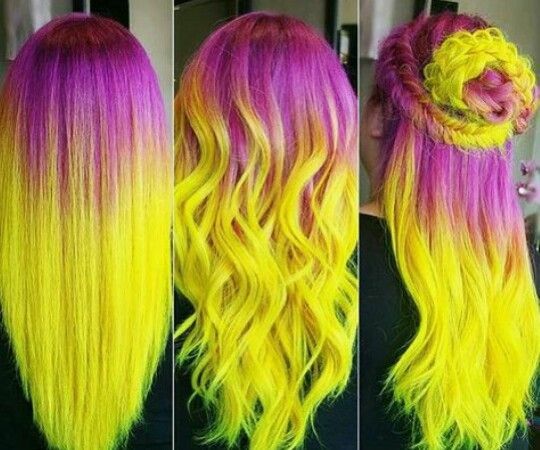 The top starts off with purple and then the bottom ends up a bright yellow. 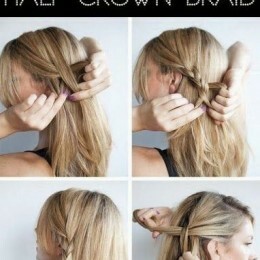 This ombre looks perfect with a lot of different hairstyles, but would look particularly great with a braid. Two trends become one. One of the biggest hair trends besides ombre has been silver hair and adding ombre to it only enhances it. The silver with the turquoise color gives it a more metallic look and the turquoise perfectly accents the silver without overpowering it. This hairstyle would look great on any hair length but seeing it in a bob or lob would be so cute! This ombre is more for the short-haired ladies out there. 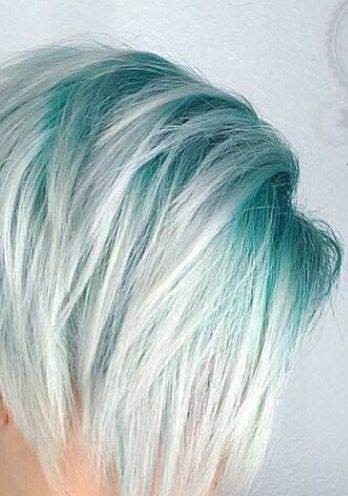 This ombre starts with blue at the top/roots before it slowly moves into white. This hairstyle definitely requires a lot of confidence, because not everyone is ready to or can pull off having white hair. However if you can, this ombre is a great option for you. This last hairstyle is arguably the wildest of the list. Achieving this look might take a few tries, but eventually, it will come out how you want it. If you decide to style this hair, anything would look great with it and confidence will be your friend if you’re planning on trying this ombre trend.